Citation: Zeynep Aydogmus (2019) Vitamin and Herbal Supplements in Parkinson Disease. 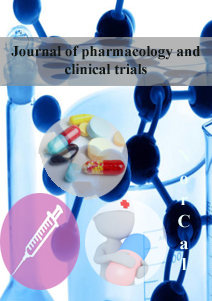 J Pharmacol Clin Trials 2019: 70-74. Parkinson's disease (PD) is a degenerative process affecting the basal ganglia, mainly substantia nigra and other brainstem pigmented neurons, and is manifested by dopamine deficiency in the brain. The main clinical findings are rest tremor, bradykinesia, rigidity and posterior reflex disorder. Studies indicate that approximately 1% of the population over 65 years of age is involved in this disease. Today, the cause of nigral degeneration responsible for the development of this disease is unknown. However, considering the studies, it can be seen that hereditary predisposition, environmental toxins and aging play an important role in this process and especially multifactorial causes are prominent. PD treatment is lifelong and its main treatment is the substitution of dopamine hormone and reduction of symptoms. Here, vitamins and herbal supplements that play a role in the prevention and treatment of Parkinson's are briefly reviewed. Parkinson's disease (PD) is a brain disease caused by the loss of nerve cells in the brain's muscle tension and motion control system. PD, known as advanced age disease, is an insidious disease that develops after 60 years of age. It is more common in men than in women. When the nerve cells are reduced due to disease, the dopamine secretion in the brain is disrupted and delays and uncoordinated occur in voluntary movements. PD is the most common neurodegenerative disease after Alzheimer’s disease [1-3]. The exact cause of PD is unknown. Various reasons such as hereditary factors, meningitis, brain inflammation, brain diseases, exogenous toxins and environmental reasons are shown to be the cause of this disease. The main findings are expressed as a decrease or loss of motor function, muscle stiffness and tremors with a "Parkinsonism" disease syndrome. In addition, non-movement symptoms such as decreased sense of smell, pain in the limbs and joints, mental depression, sleep disorders, and forgetfulness may also develop [3-6]. In addition to the mental and physical costs of PD, there are significant negative impacts on the expensive treatment process, job loss and social life. So far, very reliable diagnostic, follow-up and risk-determining tests in the clinic are insufficient. In addition, there is no way to prevent the disease and its treatment is not entirely possible, and it is not possible to eliminate the effects of symptoms caused by treatment or disease . Epidemiological studies have shown that the risk of developing neurodegenerative diseases decreases with dietary antioxidants and vitamins. The damage to brain tissue due to oxidative stress is believed to play an important role in many nervous diseases such as brain ischemia, memory blur, Alzheimer's disease and PD. Antioxidant consumption reduces lipid peroxidation and protects against oxidative stress. In this paper, it is aimed to review vitamins and herbal supplements which are most used in preventive, treatment-assisting and relieving symptoms in PD [5-6]. In addition to phytotherapy books on this subject, vitamin deficiency, herbal supplements and PD keywords were used for PubMed search. In this brief review, only the most studied the herbal supplements and vitamins in PD have been discussed. Since PD is a chronic neurodegenerative disease, its treatment is lifelong. Along with the primary treatment, the reduction of symptoms treats to improve the quality of life. The main principle is to replace the inadequately produced dopamine in the brain. For this, it is used levodopa which is converted to dopamine by cells in the brain. After years of observations, many problems with levodopa have been observed, especially in young patients; about 4-5 years after treatment, in approximately half of the recipients showed that Levodopa has lost its effect until the next dose. This is called” opening-closing periods “or” motor fluctuations. In patients, unintentional movements may occur in the form of arms, legs, kneeling and contraction, or even though the drug is taken in sufficient doses the drug is not effective at all times. Therefore, it is necessary to delay the onset of levodopa in young patients as much as possible. There are a number of other drugs called dopamine agonists group that are preferred to be started in young patients. These drugs bind to dopamine binding sites in the brain cells and make its effects. Anticholinergics can also be used in young patients with tremor. However, they are not preferred in the elderly because they create problems related to memory. Monoamine oxidase B drugs are other groups that increase the amount of dopamine in the brain through various mechanisms. In addition to these treatments, some medications may be used for patients with depression, insomnia, hallucinations, dementia, constipation and other symptoms. Surgical treatment may be considered for some symptoms in PD, which may be insufficient for treatment, or for motor fluctuations and involuntary movements due to long-term use of levodopa [1-5]. In patients with PD, the immune system is weakened, constant tremors make eating difficult and a significant increase in metabolic rate causes weight loss. Protein intake is important because it reduces absorption of Levodopa. Levodopa is absorbed from the digestive tract and cannot be absorbed sufficiently when it encounters proteins. Therefore, patients using levodopa preparations should regulate protein intake. The consumption of plenty of beans (okra) increases the effect of dopamine. It has been reported that the incidence of PD is less in those who consume coffee. Exercise has been found to reduce findings in PD and decreases bone resorption [1, 5-7]. Moreover, by increasing the levels of hormones called endorphins that the body naturally possesses, the conditions such as depression and rupture can be corrected. Because strength loss is inevitable in patients, strengthening exercises should be given to these patients . The antioxidants in the diet neutralize free radicals and reduce the risk of PD. Thus, damage to the neurons in the nigra in the substantia nigra is prevented. Lack of vitamins, which are among the most important substances that increase body resistance and protect the body against diseases, cause serious health problems. Inadequate intake of vitamins affecting all organs and systems in the body can manifest itself with different symptoms. CDP-choline (Citicoline) is a neuroprotective agent. The substance is known to be a tissue preservative in cerebral ischemic diseases and contributes to an increase in the amount of dopamine in the brain . Vitamin B12 provides the development and function of the brain and nerve cells. Vitamin B12 deficiency causes anemia, dementia, depression and psychosis. Vitamin B12 tends to fall down with the use of levodopa and in constipation frequently encountered in PD. The deficiency of vitamin B12 causes an increase in homocysteine that may causes the neurotoxic effects with dopaminergic cell death. For these reasons, the administration of B12 and other B complex vitamins reduces the risk factor in PD patients [10-12]. Pure vitamin B6 deficiency is rare. In the absence of vitamin B6, skin inflammation, tongue and mouth inflammation, depression, contractions and anemia are seen. It was found that vitamin B6 level decreased in asthma, diabetes, alcoholics, heart patients, pregnancy and breast cancer blood. In the absence of vitamin B6, homocysteine in the blood increases. Some drugs used in different diseases and Dopa used in PD makes vitamin B6 deficiency. These people are recommended to take vitamin B6 [5, 10-13]. Moreover, vitamin B6 might influence the risk of PD through antioxidant effects unrelated to homocysteine metabolism and through its role in dopamine synthesis. B2 vitamin intake has been reported to improve the symptoms of Parkinson's patients with B2 deficiency [10-13]. Amino acids such as L-tyrosine and methionine may increase dopamine production and have been effective in improving the symptoms of the disease [6, 12-14]. Coenzyme Q10 is found in the structure of proteins. Coenzyme Q is needed to generate energy within the cell. Coenzyme Q10 has antioxidant effect and is also made in our body and takes in with some foods. The compound is found in red meat, chicken fish, soy, walnuts, almonds, vegetables and fruits. Clinical studies have shown that it is useful in cell aging and PD [12-13]. 25% of patients with Parkinson's have vitamin D deficiency. In PD, the level of Vitamin D (25OH) in the blood should not be below 30. Vitamin D used in treatment increases the dopamine content at blood level. Although vitamin D has a protective feature of Parkinson, the evidence is limited [15-16]. Vitamin E is one of the major fat-soluble antioxidants in all cell membranes and protects polyunsaturated fatty acids from oxidation. The addition of high doses of vitamin E to the diet significantly increases LDL levels and highly protective against oxidative stress. Vitamin E can be useful in Parkinson's [12, 16]. Vitamin C is an important antioxidant found in the body's extracellular fluids and soluble in water. As it cannot be synthesized in the body, it must be taken from the food. In addition to being a reducing agent of ascorbic acid, it has the ability to regenerate vitamin E. Additional those of vitamins, alpha-lipoic acid and Omega 3 can be taken due to their antioxidant effect [5-6, 12,16-17]. Black and green teas, rich in polyphenols, are effective in preventing oxidative damage. In particular, the consumption of green tea may be protective against the development of the disease . Extracts from the leaves are powerful antioxidants and have been reported to be effective in preserving nerve cells . Seeds of Mucuna pruriens are naturally one of the most concentrated sources of Levodopa and are known to be used in the prevention of disease . Foods containing levodopa cause poisoning with the drug, therefore it may be necessary to limit consumption. Curcumin, which is a source of curcumin, has many biological effects including antioxidant, anticancer, anti-inflammatory and neuroprotective. Research has shown that the plant is also effective in PD . In addition to the current medical treatment of PD patients, vitamins and antioxidants are very important in preventing oxidative stress and neurodegenerative damage. Taking such supplements completes dopamine deficiency in the brain or plays a role in increasing hormone secretion. However, for early diagnosis and more reliable treatment of the disease, there is need new scientific research to investigate the causes of neurological damage in PD and to fully explain the mechanisms of action of such supplements given above. In addition, the development of genetics and immunotherapy may contribute to the understanding of Parkinson's and to the formation of a specific treatment. 1. Van Bulck M, Sierra-Magro A, Alarcon-Gil J, Perez-Castillo A, Morales-Garcia JA (2019) Novel Approaches for the Treatment of Alzheimer’s and Parkinson’s Disease. Int J Mol Sci 20: 719. 2. 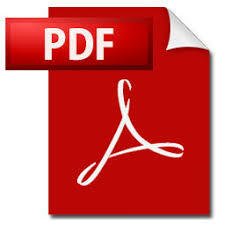 Connolly BS, Lang, AE (2014) Pharmacological treatment of Parkinson disease: a review. Jama 311: 1670-1683. 3. Aktas O, Ullrich O, Infante-Duarte C, Nitsch R, Zipp F (2007) Neuronal damage in brain inflammation. Arch Neurol 64: 185-189. 4. Sharma VD, Lyons KE, Nazzaro JM, Pahwa R (2019) Deep brain stimulation of the subthalamic nucleus in Parkinson's disease patients over 75 years of age. J Neurol Sci 399: 57-60. 5. Rabin M L, Stevens?Haas C, Havrilla E, Rosenstein A, Toffey B, Devi T, Earnhardt MC, Kurlan R (2015) Complementary Therapies for Parkinson's Disease: What's Promoted, Rationale, Potential Risks and Benefits. Movement Disorders clinical practice 2: 205-212. 6. Barichella M, Cereda E, Pezzoli G (2009) Major nutritional issues in the management of Parkinson's disease. Mov Disord 24: 1881-1892. 7. Chen JJ (2017) Treatment of psychotic symptoms in patients with Parkinson disease. Mental Health Clinician 7: 262-270. 8. Bajracharya R, Ballard J WO (2018) Dietary management and physical exercise can improve climbing defects and mitochondrial activity in Drosophila melanogaster parkin null mutants. Fly 12: 95-104. 9. Saver JL (2008) Citicoline: update on a promising and widely available agent for neuroprotection and neurorepair. Rev Neurol Dis 5: 167-77. 10. Shen L (2015) Associations between B vitamins and Parkinson’s disease. Nutrients 7: 7197-7208. 11. De Lau LML, Koudstaal PJ, Witteman JCM, Hofman A, Breteler MMB (2006) Dietary folate, vitamin B12, and vitamin B6 and the risk of Parkinson disease. Neurology 67: 315-318. 12. Brito A, Grapov D, Fahrmann J, Harvey D, Green R, Miller JW, (2017) The human serum metabolome of vitamin B-12 deficiency and repletion, and associations with neurological function in elderly adults. J Nutr 147: 1839-1849. 13. Jomova K, Vondrakova D, Lawson M, Valko M (2010) Metals, oxidative stress and neurodegenerative disorders. Molecular Cellul Biochem 345: 91-104. 14. Sutachan JJ, Casas Z, Albarracin SL, Stab BR, Samudio I, Gonzalez J, Morales L, Barreto GE (2012) Cellular and molecular mechanisms of antioxidants in Parkinson's disease. Nutr Neurosci 15: 120-126. 15. Kim JE, Oh E, Park J, Youn J, Kim JS, Jang W (2018) Serum 25-hydroxyvitamin D3 level may be associated with olfactory dysfunction in de novo Parkinson's disease. J Clin Neurosci 57: 131-135. 16. Torkos S (2012) The Canadian encyclopedia of natural medicine. John Wiley and Sons: 1-512. 17. Kulikova OI, Berezhnoy DS, Stvolinsky SL, Lopachev AV, Orlova VS, Fedorova TN (2018) Neuroprotective effect of the carnosine–α-lipoic acid nanomicellar complex in a model of early-stage Parkinson's disease. Regulator Toxicol Pharmacol 95: 254-259. 18. Pervin M, Unno K, Ohishi T, Tanabe H, Miyoshi N, Nakamura Y (2018) Beneficial effects of green tea catechins on neurodegenerative diseases. Molecules 23: 1297. 19. Mythri R, Srinivas M (2012) Curcumin: a potential neuroprotective agent in Parkinson's disease. Current Pharma design 18: 91-99.